By partnering with Ironclad Performance Wear®, 5.11 Tactical® gloves set new standards for dexterity, fit, and durability and provide you with gloves you can depend on. Our commitment to functional innovation and unparalleled quality, combined with Ironclad’s dedication to superior fit and tactility, means you can trust our gloves as you navigate through the day’s challenges. Whether you’re drawing a sidearm or patting down a perp, 5.11 gloves, Built Tough by Ironclad®, answer the call. Even when the temperature drops you still need to be able to perform at your best. Our new Praetorian2 winter duty glove is warm and durable but also allows you to do all of the things you do when wearing unlined gloves. Thinsulate™ C100 insulation keeps warmth in and winter cold out but its low loft allows use of firearms and other tools of the trade. 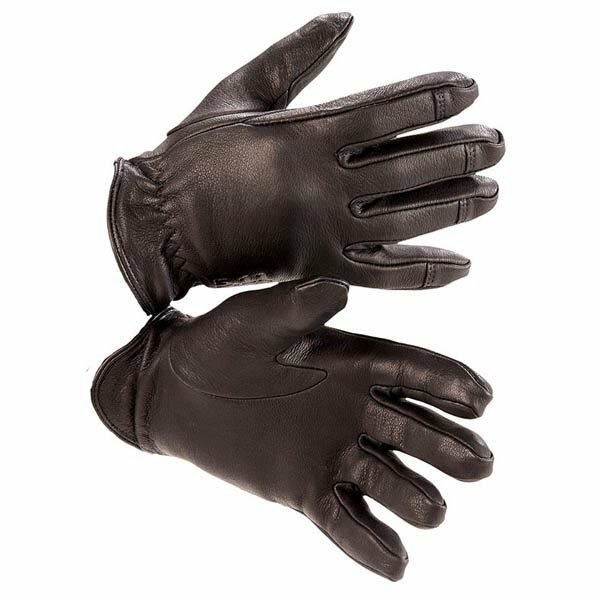 Goatskin remains pliable and comfortable in cold weather. Our patented Tactical Touch™ fingertip construction eliminates the fingertip seam that impedes tactility in other gloves and improves fit at the most critical part of the glove – your fingertips. Our seamless palm means there is less interference between your hand and your work, whether you’re gripping a pistol or performing a pat down. The elastic wrist closure seals out cold air and debris and ensures a proper fit every time.